B2G is designed to be secure. The faster the hash function, the faster each new block is ready for posting to the blockchain. This real-time history, when encrypted and posted, is rendered transparent encrypted by ever-changing 256-bit hash functions. Bitcoiin B2G implements the Ethereum blockchain algorithm, a comprehensive platform, and integrated access, into a new platform designed to stay secure. 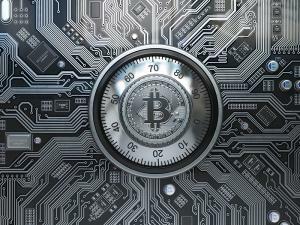 HONG KONG, CHINA, February 9, 2018 /EINPresswire.com/ — Bitcoiin B2G, www.bitcoiin.com, announces disclosure of new security features built into its new peer-to-peer cryptocurrency ecosystem, as part of B2G’s Initial Coin Offering (ICO). Focusing on the original founding father’s vision of a blockchain-secured public ledger, Bitcoiin B2G implements the Ethereum blockchain algorithm, a comprehensive platform, and integrated access, into a new platform designed to stay secure. Our designers decided the original wisdom of the public blockchain remains its most-secure feature. Rather than staying secret, the public blockchain is safe because everybody is watching. Every time B2G’s blockchain updates, every user has access to the entirety of the ledger. Only the newest entry is loaded on top of the ledger, with the remainder of the ledger remaining transparent and incorruptible. This is the brilliant idea underlying any secure blockchain. This real-time history, when encrypted and posted, is rendered transparent encryp¬ted by ever-changing 256-bit hash functions. That kind of massive encryption takes enormous computing capacity. Which is why B2G’s designers associated the B2G ecosystem with the massive computing machine array provided by Dragon Mining. Dragon’s array of “mining rigs”—thousands of purpose-built computers, similar to those used by Ant Pool, configured for parallel processing and fast hashing—allow accelerated blockchain processing, quick updating and a secure blockchain ledger. That means B2G is designed to be secure. The faster the hash function, the faster each new block is ready for posting to the blockchain. The quicker everybody sees each transaction, as the blockchain posts each to public scrutiny. That means B2G is designed to be fast. The more parallel mining rigs, the faster each blockchain is computed. The faster the blockchain gets posted, the faster the depositor’s buy/sell/trade instructions are executed and confirmed. Under first-gen architecture, trades had to wait in line in the crowded bitcoin network, thousands of transactions in queue, awaiting confirmation. The original bitcoin can take up to 48 hours or more to confirm a single transaction. During that delay period, trader accounts freeze. The pioneers of cryptocurrency did not visualize such delays. And such delays add uncertainty into the cryptocurrency ecosystem. Where depositors need certainty security. Users, once qualified through Know Your Customer (KYC) disclosures on our comprehensive trading platform, can instruct the platform to execute a transaction—to buy B2G with USD, altcoin or Euros; to trade one token for another; or to convert and/or liquidate a token to fiat currency. Ethereum’s blockchain, running on thousands of mining rigs through our association with Dragon Mining, executes the buy/sell/trade transaction in real-time. We announce the second generation of cryptocurrency. Seldom does life grant a second chance.